The tapes indicate that for at least over a month the Gujarat Police apparatus used its sweeping powers to rigorously monitor every private moment, every personal conversation and every daily movement of Madhuri. 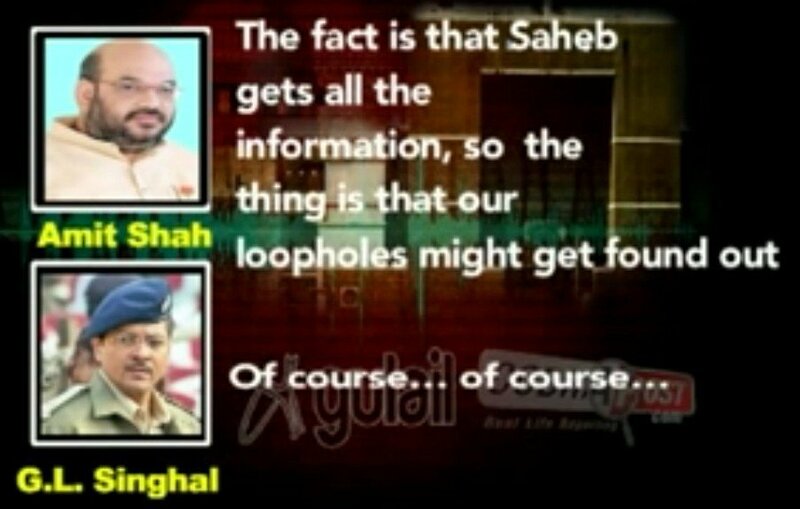 Singhal has told the CBI that the surveillance was illegal and was carried out only on the oral instructions of Shah. The recordings reveal that Madhuri was tailed even as she visited shopping malls, restaurants, ice-cream parlours, gyms, cinema halls, hotels and airports. She was followed even when she visited her ailing mother in a hospital in Ahmedabad. When she boarded a flight out of Ahmedabad, orders were issued to put cops on the flight so that she was not out of sight even when she was flying. Strict orders were given to closely observe and profile those who met her. Shah was particularly interested in knowing the men she was meeting and whether she was alone or with some man when she checked into a hotel in Ahmedabad. Her phones and that of her family and friends were tapped. Every bit of information was conveyed to Shah in real time, who in turn claimed to be relaying it to his ‘saheb’. Listening to the conversations leaves no doubt that the people involved in the operation knew who this ‘saheb’ was. Such was the importance attached to the surveillance operation that many senior state police officials were instructed to personally supervise the movements and activities of the woman. Besides Singhal, who was at that time posted as a Superintendent of Police with the ATS, the then IG (Intelligence) A.K. 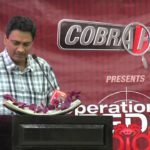 Sharma, the then Deputy SP (CID Intelligence) DB Vaishnav and then DCP (Crime) Abhay Chudasama were some of the other senior officers who were roped in for the operation. At present, Sharma is posted as Joint Commissioner of Crime in Ahmedabad city. While Vaishnav has retired, Chudasama is cooling his heels in jail on charges of stage-managing the Sohrabuddin Shaikh encounter. 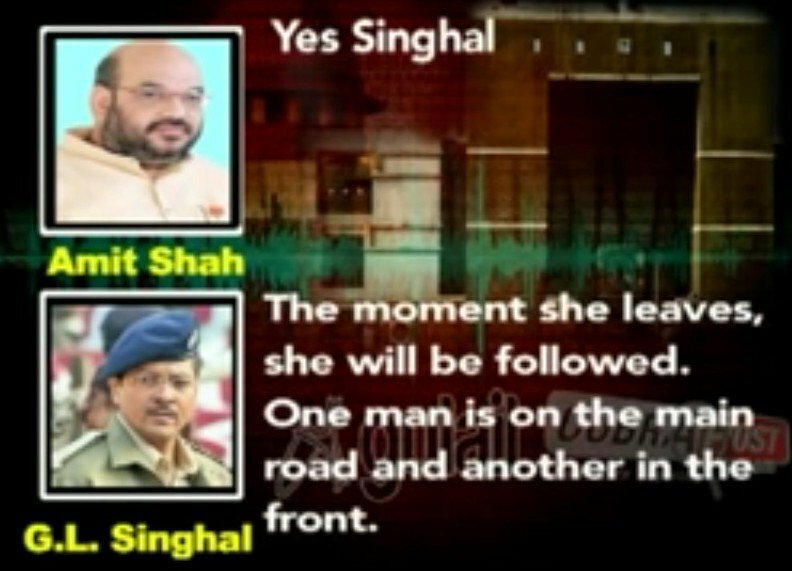 The phone recordings in possession of the CBI primarily contain conversations between Singhal and Shah. Some conversations are between Singhal and other state police officers such as A.K. Sharma, Vaishnav and the then Bhavnagar SP Rajendra Asari. All conversations were recorded by Singhal between August 4, 2009 and September 6, 2009. At many places in the tapes, Shah can be heard complaining that Singhal’s men were not doing a thorough job as ‘saheb’ was obtaining information about her movements from his independent sources and his information network was at times more efficient than that of Shah. In a welcome, but astonishing development, the BJP, that has so far made a fine art out of claiming allegations without evidence as proof of innocence, immediately released a statement by the girl’s father accusing Gulail and Cobrapost of exploiting a family matter and stating that it was he who had asked Chief Minister Narendra Modi, whom he knew personally, to “take care” of his daughter while she visited Gujarat. The sinister sub-text here is that the BJP (who released the letter) sees nothing wrong with state resources and state funds being deployed in illegal surveillance of a citizen to serve personal connections. But the obsessive attention to details by the “saheb” who now turns out to be the Chief Minister cannot be merely explained by someone doing a favor to a family friend. Saheb knew that she had gone out when the people conducting the surveillance didn’t. The “saheb” Amit Shah repeatedly refers to as having an interest in every detail about the girl is none other than Chief Minister Narendra Modi. Narendra Modi and his sidekick Amit Shah deployed state resources for illegal stalking of a woman. Narendra Modi and Amit Shah spied on her personal life and that of men she interacted with, including in at least one instance orders to prevent a man from going to Mumbai after she took a flight there and one instance of instructions to jail him if needed. None of this official, or related to any interest of the state. Phones of Madhuri and her family and friends were illegally tapped to serve the interests of a private citizen without any official procedure, reason or record. Stalking is stalking and it does not make it prettier if it is the father ordering it from the cops through his connections with a Chief Minister. Singhal’s statement before CBI also states that he was verbally instructed to conduct illegal surveillance of senior ICS officer Pradeep Sharma (then Bhavnagar Municipal Commissioner). The video includes recordings of Amit Shah instructing Singhal to engage the assistance of Bhavnagar Superintendent of police Rajendra Ansari in spying of the Municipal Commissioner to find out if he was in touch with the girl and if they were meeting. ICS Pradeep Sharma had also filed a writ petition in the Supreme Court in May 2011 (2 years later) alleging that he was being framed in bogus corruption cases by the Gujarat government and the reason for this was Chief Minister Narendra Modi association with a young woman. Gulail and Cobrapost assert that the name of the woman in the petition was the same as this girl’s name – which could be a coincidence, but seems unlikely. This conversation is particularly telling. It talks about someone who seems to be evading their attention and traveling to Mumbai who Amit Shah wanted arrested for as long as Vanzara was. (Vanzara is a cop jailed for fake encounters who wrote a lengthy letter after Godman Asaram was arrested, claiming to be betrayed by the state and Amit Shah whose interests he protected and claimed the fake encounters as his patriotic duty. This happened in 2009, before the letter was written, of course. Looks like Vanzara’s faith in Amit Shah wasn’t that misplaced, after all, though Vanzara continues to rot in jail. Maybe Amit Shah can give him company.) Amit Shah: Did you talk? Singhal: Sir, I did and according to him surveillance cannot be done at Shahibagh by his men. Amit Shah: No no… it can be done from a distance. What is happening, where his car is, etc Singhal: Sir I have talked to them, but even then I’ll talk again. Amit Shah: Or you deploy one of our men there. Singhal: Ok sir Amit Shah: Then? Singhal: I just checked his mobile location and it shows in Bhavnagar. Amit Shah: He must have left the instrument there, he was in Mumbai. Singhal: Ok sir. Amit Shah: You check it out Singhal: Sure sir… Amit Shah: He must have left the phone at home Singhal: yes Amit Shah: he has an additional number. I will ask A K Sharma to give it to you Singhal: I have taken three numbers from him and two are showing locations in Bhavnagar and I have to check the third one. 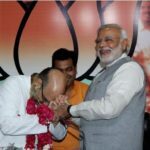 Amit Shah: Two at Bhavnagar? Singhal: Yes Amit Shah: Check the third Singhal: Yes, I will check it. Amit Shah: Where is the sister? Singhal: She is sitting near at Navrangpura near Havmor Amit Shah: With the same boy? Singhal: With the same boy. Amit Shah: I want him in jail for as many days as Vanjara has been jailed for. Singhal: yes sir Amit Shah: You be brave. No matter how big the person, put him in jail The tape goes on and on as it follows the girl literally everywhere and there is no way that this is not stalking. The fact that the father has clarified that he asked for this surveillance of his daughter from Modi makes it nothing more than the father ordering an illegal spying of his daughter – would hardly be the first time for parents to gang up with misogynist thugs to monitor and control the social interactions of girls. That the state was used to do this is only doubly horrifying. The fact remains that the girl was an adult professional and perfectly capable of asking for help if she needed it as well as answering questions about where she went and who she met if she wanted her father to know it. My guess is that the father’s letter was a hastily thought up cover up by the BJP that has backfired, since I cannot imagine the father conveniently having an issue with ICS Pradeep Sharma as well, who very conveniently was targeted by the state in bogus corruption exposes – as per his petition in the Supreme Court. If the state went to the extent of filing bogus corruption cases against a Municipal Commissioner as a part of “taking care” of the daughter of a personal friend of the Chief Minister, it is even more horrendous. But I doubt that is what happened. What is clear is that regardless of the motive, a girl who was not a suspect in a crime and indeed was promoted as “protected” by the Chief Minister was comprehensively stalked in a way that would fit in a thriller – and not in the character of the good guy. No way how BJP tries to spin this, they seem to have admitted, indeed advertized that the person pulling the strings in this abuse of this woman’s rights was Modi. 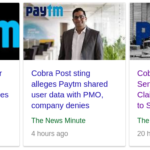 Rajnath Singh has gone on record defending these actions and blaming Cobrapost for the sting instead. Perhaps it is time that along with election speeches, BJP listed out the laws it is willing to respect and the ones it will break at will when it gets the whim to harm citizens.